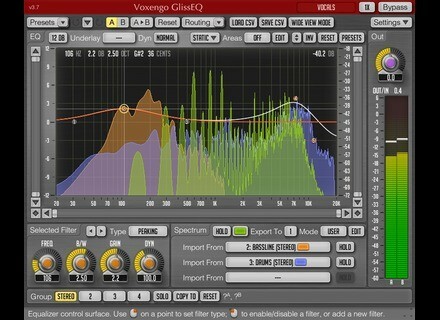 GlissEQ, Software dynamic EQ from Voxengo. Voxengo GlissEQ version 3.5 update is now available for download. 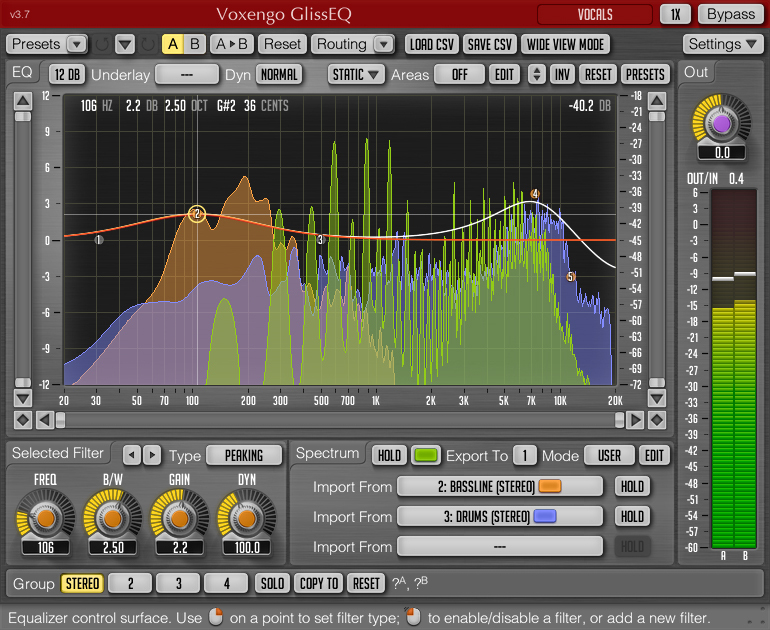 Voxengo GlissEQ is a dynamic parametric equalizer plug-in for audio and sound production applications. GlissEQ is available in AudioUnit and VST plug-in formats (including native 64-bit support), for Mac OS X (v10.5 and later), and Windows computers. Note that on Mac computers, GlissEQ now supports Mac OS X v10.5 and higher only, running on Intel processors. Mac PowerPC support is not available. The "Min Infrastructure" user interface display mode added. The "Flat Level Meters" level meter display mode added. The "Show All Filter Shapes" global switch added. Version change history information window added. -6 dB/oct low-pass and high-pass filters added. Window size is now stored correctly in the default preset. Check out www.voxengo.com/product/glisseq for more. [NAMM] New Yamaha iOS Apps Yamaha debuts new apps for iPad and iPhone. LouderLogic Sweepstakes McDSP is organizing LouderLogic Sweepstakes until mid-February 2012. [NAMM] Waves Non-Linear Summing Plugin Waves Audio unveils its NLS Non-Linear Summing plugin.